4OVER4.COM » Brochures and Catalogs » You&apos;re currently reading "Weekend Project: Creating Book Beads from Reused Paper"
Have you got a bunch of outdated brochures, print ads, magazines and flyers stacking up all over the place? 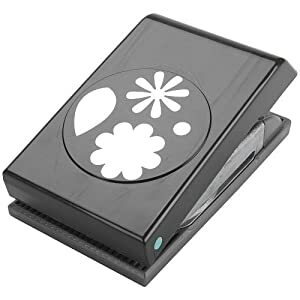 Instead use them to create amazing, attention-grabbing, decorations for your office or store! These easy to make beads are bound to get walk-ins talking with their curiously-shaped, yet beautiful, compositions. Old ads, magazine paper, outdated flyers, etc. 2. Cut enough shapes to make as many beads as you want: each bead requires about 8 shapes. 3. Fold the shapes exactly in halves. 4. Glue them together pasting the folded half of one shape to the folded half of another (of the same shape). Make sure that the half of one shape meets perfectly the half of another (it’s easier than it sounds). 5. Once you’ve glued several shapes together you’ll have a little accordion, close it by pasting the two ends together. You can see the original image-based tutorial from blogger and craft extraordinaire smallforerst.net right here!While the original tutorial was designed to create stringed beads, we want to keep things simple:Find a nicely-sized glass bowl, vase or bottle and fill it up with these “book beads”. Decorate a Lobby, desk or room with it and get ready to answer some questions and be showered with compliments! By using recycled promotional material, you’re not only being a friend to our planet, but also giving new life to old or outdated print ads, flyers and more, as they become new points of interest that let you bring the conversation back your business. Keep a sample flyer, page or ad to show the material you used around. 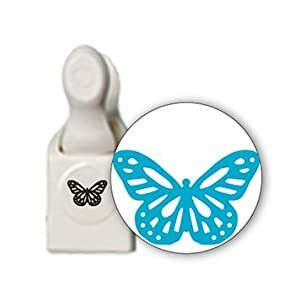 We found these on amazon.com (See Butterfly Paper Punch and Multiple Shape Paper Punch). You can also use scissors cutting a simple pattern.